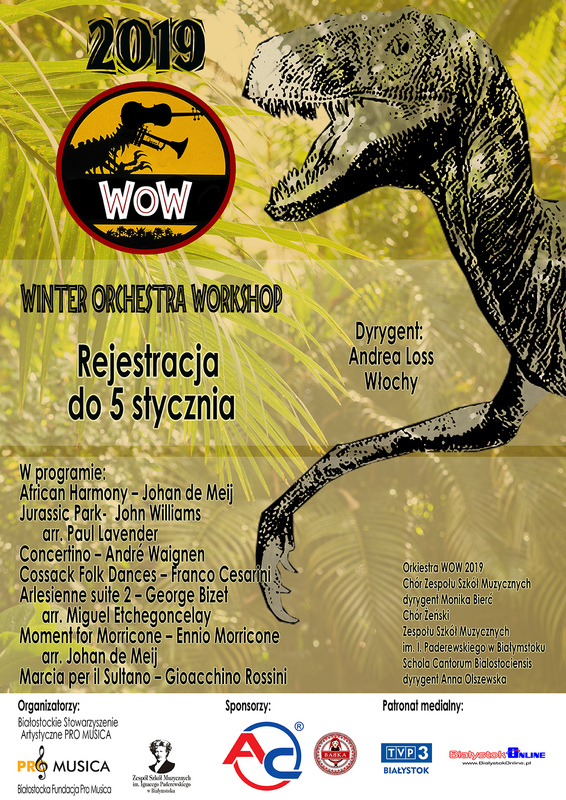 For the 5th time in Bialystok in the Complex Music Schools will be holding “WOW” – Winter Orchestra Workshop. Taking place 5-12 February 2019, the aim of the workshop is to promote wind and percussion instruments in an orchestral setting in Bialystok and Podlaskie province. 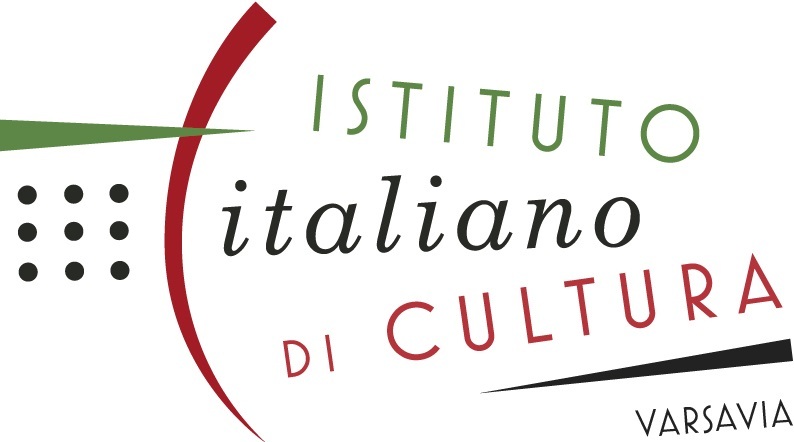 Conductor Andrea Loss from Italy will be directing throughout the workshop, in cooperation with the best professors from Bialystok. Young musicians will experience 7 days of extensive personal training where they will hone their skills to a professional level in preparation for the final concert. The 100 person concert band will perform on 11th and 12th February 2019 at Philharmonic Hall located at Podleśna street. 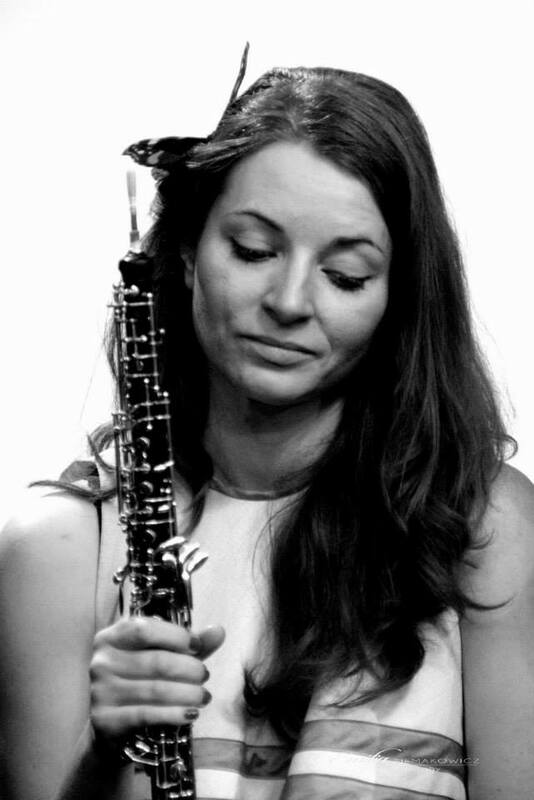 Andrea Loss – graduated at the Conservatory in Udine (Clarinet) and studied conducting with Jan Cober (NL), Ronald Johnson (USA), Felix Hauswirth (CH) , Isaac Karabtchevsky (BR), Diego Dini Ciacci (I) orchestration , harmony , composition and singing. He conducted several wind orchestra in Italy, Europe, and USA. He is the principal conductor of the “Orchestra di fiati Rosmini ” from Rovereto (I), Orchestra di Fiati della Provincia di Vicenza (I) , Banda cittadina Peschiera del Garda (I), Corpo bandistico di Lizzana (I) and he is teacher and artistic director of ISEB (Wind Band European Institute ). Clarinet. Graduated at Music Academy of Frederic Chopin in Warsaw clarinet class of prof. Benjamin Przeździęk. Doctoral degree at the Academy of Music. K. Lipinski in Wrocław. He is the winner of the XXVI National Competition for Young Instrumentalists in Włoszakowice. 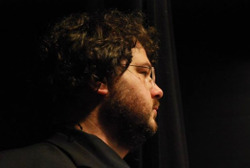 He performs as a soloist, chamber and orchestral musician. Clarinetist in Podlasie Opera and Philarmonic in Bialystok, Poland , recorded CD, Has concerts in Europe and Asia. Especially appreciates the cooperation with Kevin Kenner, which performed chamber music of Romantic composers. In its activities goes beyond the stage . For several years worked with the Theatre “Wierszalin”, with which he has performed in Poland and abroad (UK, USA, Canada). For more than 20 years of experience in the teaching of music. He is an assistant professor at the University of Music Frideric Chopin and teaches clarinet at the Complex Music Schools in Bialystok. Share knowledge and experience to th young people on music courses. Graduated at Music Academy of Frederic Chopin in Warsaw 1993-1995 (trumpet) and Chopin Academy of Music in Warsaw, / 1995-1998 instrumental-pedagogical faculty, class trumpet. Works in the Podlasie Opera and Philharmonic from 1995 first trumpet. 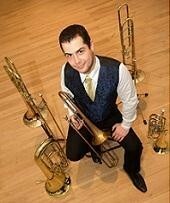 Since 1996, trumpet teacher in Music Schools. IJPaderewski in Bialystok .In 2005, the founder and leader of Big-Band ZSM in Białystok. From 2006 proffesor on chamber ensembles Big Band at the Fryderyk Chopin University of Music filia in Białystok . 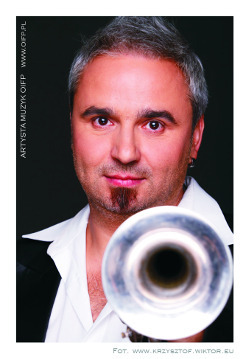 In 2007 the show-band trumpeter in the ship-Oceania Cruises Insignia. Flute. 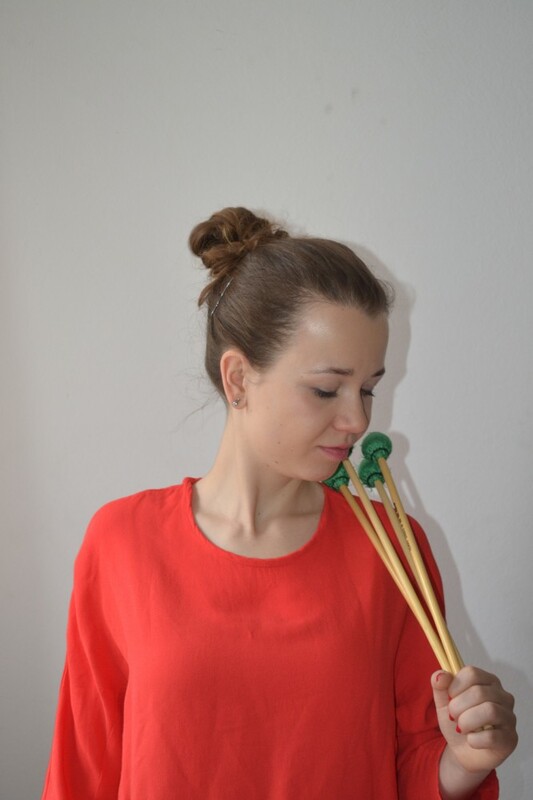 Graduated the Warsaw Academy of Music flute class – Hanna Tawrel-Szablewski. Improved skills on lectures and seminars conducted by E. Gajewska, J. Mrozik, B. Goldberg, J. Balint, P. Bernold, F.Karimi Djafar Zadeh, A. Igras, G. McLearnon. 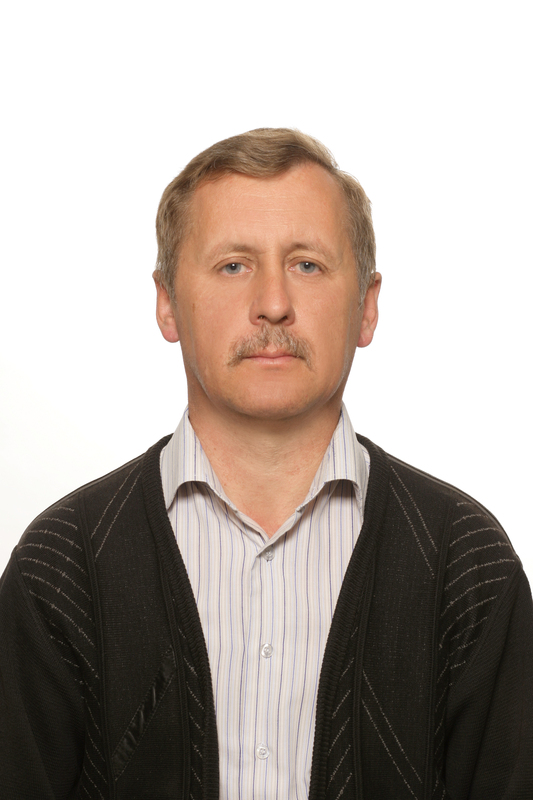 Since 1981teacher in the Complex Music Schools in Bialystok. Her students have won several prizes in national and international competitions.. I 1982-2006 – flutist in orchestra Podlasie Opera and Philharmonic, performed in Poland, Germany, Belgium, Austria, Russia, Lithuania and the US . Recorded for Polish Radio Bialystok. For many years engaged in concerts activities in Bialystok and the region of Podlasie, organized by the Concert Office Podlasie Opera and Philharmonic and Arte-Muse. Currently performing with the Orchestra “Podlaską Orkiestrą Salonową” and the chamber ensemble Trio Aclassico. Perkussion. Graduated Department of Percussion Music Academy in Poznan in Marian Rapczewski , Edward Iwickiego and Jacek Wota class . Perfected skills at master classes conducted by . John Beck, Katarzyna Myćka, David Friedman. During his studies he cooperated with Poznan Philharmony, Grand Theatre in Poznan, Poznan Musical Theatre, Kielce Philharmonic , Krakow Philharmonicy, Silesian Philharmonic in Jelenia Gora. Has concerts in Sweden, Norway, Finland, Estonia, Great Britain, Kuwait, Russia, Germany. 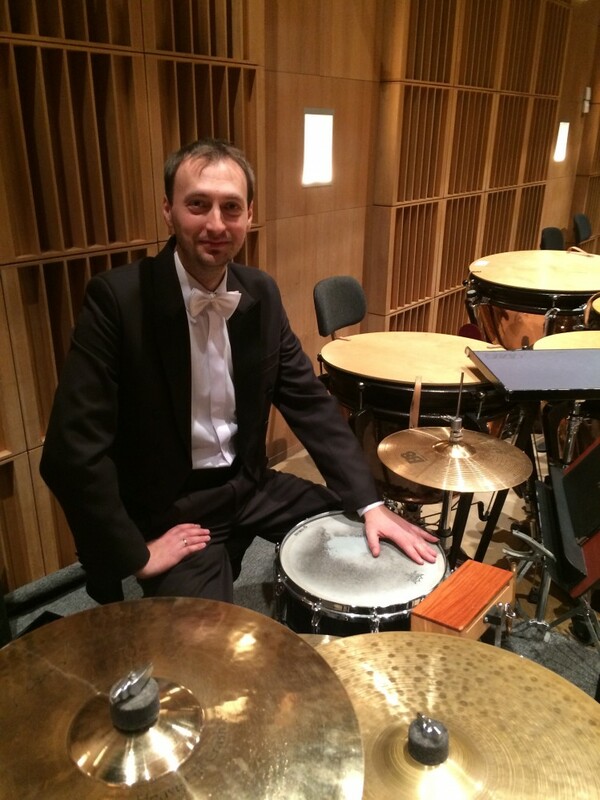 Since 2008 drummer in Opera and Philharmonic in Białystok, percussion teacher at Music School in Bialystok. Percission. Finished National School of Music II st. Im. J. Elsner in Warsaw at Bogdan Lauks percussion class. Graduated Fryderyk Chopin University , Henryk Mikolajczyk percussion class. Continued musical education at the Conservatoire de Strasbourg in France in Emmanuel Sejourne class. Collaborated with. the Pan-European Philharmony, , Opera and Philharmony Podlasie, Suwalki Chamber Orchestra, Symphony Orchestra of Siedlce, ensemble “Diletto” .Participated in numerous percussion workshops led by: David Friedmann, T. Adam Blackstock, Victor Mendoza, Rainer Seegers, Franz Schindlbeck, Denis Riedinger, Stephan Fougeroux. Percussion teacher at Music School in Białystok. 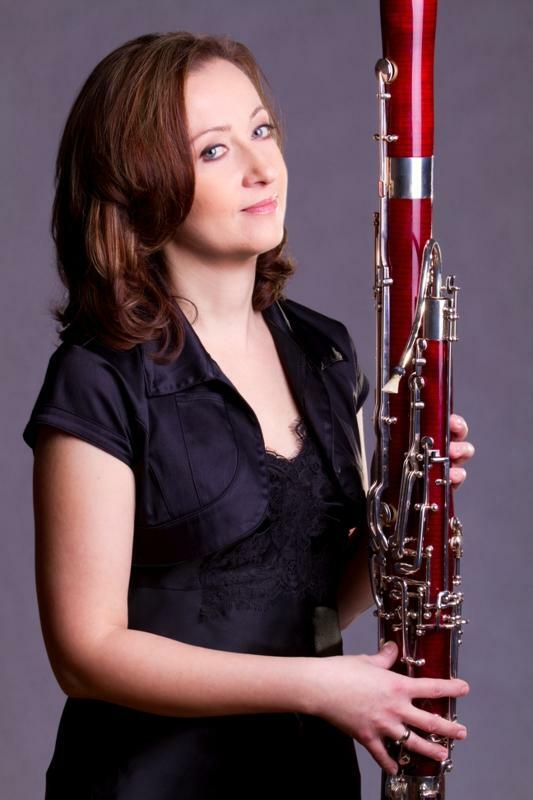 Magdalena Pogorzelska is a successful oboist and teacher. She graduated from the Fryderyk Chopin University of Music in Warsaw, Mr Sobola’s class. She attended masterclasses held by i.e Stanisław Malikowski, Tomasz Miczka, Jerzy Kotyczka. 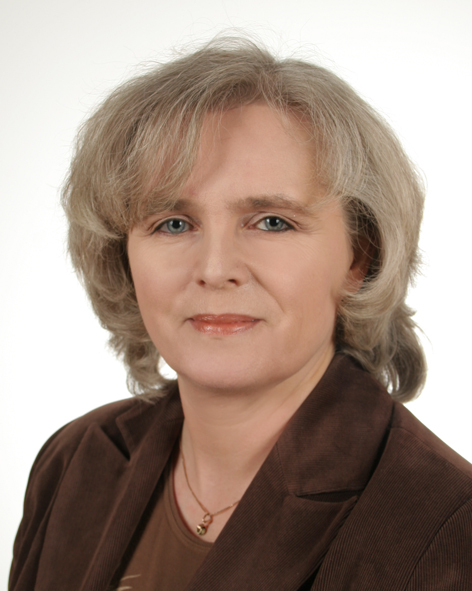 Since 2005, she has been running oboe classes in the (primary and secondary) Schools of Music in Bialystok. 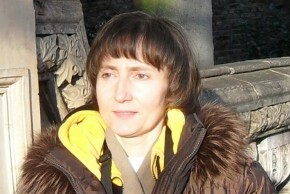 Her students have won several prizes in national and international competitions. Bassoon. Graduated Academy of Music. K. Szymanowski (class of prof. Z. Tlatlika). Perfected his skills under the guidance of F. Essmann, M. Baranski, T. Miczki, W. Orawka. Saxophone. Graduated at the University of Music in Warsaw (clarinet).Postgraduate studies in saxophone at Music Academy. I. J. Paderewski in Poznan with dr. Darius Samolej. Perfected his studies with Wildy Zumwalda and Patrick Meighan. He participated in courses and masterclasses led by Ed Bogard, Jean Marie Londeix, Joseph Wytko, Claude Delangle. He has concerts in Russia and Croatia, and Pomeranian Saxophone Festival in Szczecin, Nowa Sol, Korzuchowie. Since 1992 he teaches saxophone at the Music School in Białystok. French Horn.Graduated in 1991 Academy of Music. Karol Szymanowski in Katowice, prof. Mieczyslaw Korcza . First horn player in the orchestra of the Opera and Philharmonic in Białystok, with which he has performed as a soloist, and has made many recordings. In 1987 he was awarded the National Competition of Wind Instruments High School in Koszalin. For many years, along with the wind quintet “Senza Battuta” toured Polish scenes .Perfomed with National India Symfonic Orchestra, Filharmonia Slaska, Lublin Philharmonic, Philharmonic Olsztyn, Beethoven Academy Orchestra, Polish Radio Orchestra and many others on stages in Poland and abroad. Since 1992. 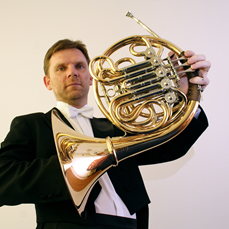 Horn teacher at the School of Music in Bialystok and the University of Music Fryderyk Chopin in Warsaw, Instrumental – Pedagogical Department in Bialystok. He studied at the Academy of Music in Krakow in the class of prof. Zdzisław Stolarczyk and Hochschule der Künste Bern in the class of Prof. Ian Bousfield (Master of Arts in Music Performance). First Trombonist of the Podlasie Opera and Philharmonic in Białystok. Cooperated with the National Symphony Orchestra Polish Radio (NOSPR) – Katowice, Capella Cracoviensis (Krakow), Beethoven Academy Orchestra (Krakow), Cracow Philharmonic, Sinfonietta Cracovia (Krakow). Participant of many master courses with well-known professors, including Christian Lindberg (Sweden), Jorgen van Rijen (Holland), James Thomas Miller (USA), Jonas Bylund (Sweden, Germany), Pierre Volders (Netherlands). He participated in many competitions where he won prestigious awards, including: First prize at the International Brass Wind Instruments Competition in Szczecin. Second prize at the International Competition of Contemporary Chamber Music in Krakow with the “Brassimo” duet and many more. Cello. Graduated in 1983 Fryderyk Chopin University of Music in Warsaw -. 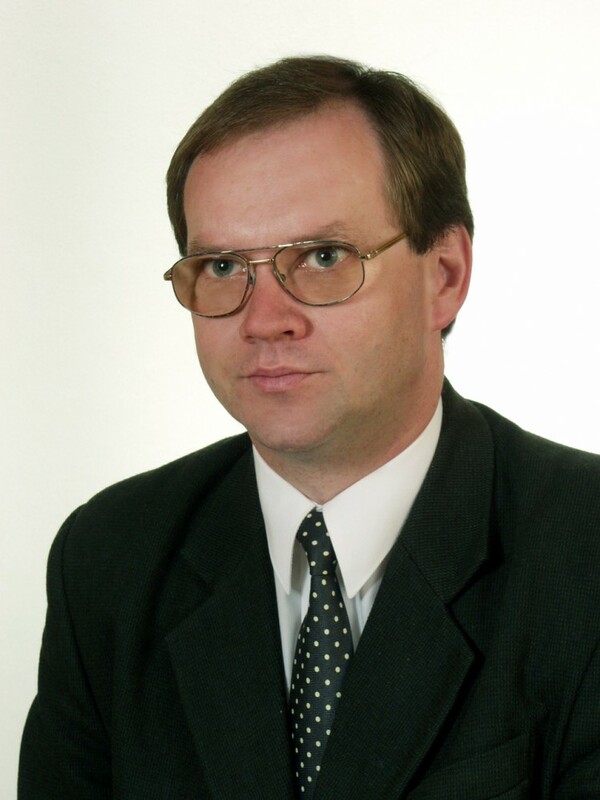 Prof. Andrzej Zielinski. Improved skills in the summer courses in Salzburg with Prof. Daniel Szafran. 35 years -cellist in the orchestra Bialystok Philharmonic currently Podlasie Opera and Philharmonic. 32 years teaching in the Complex Music schools in Bialystok. Double bass. The first bassist Podlasie Opera and Philharmonic, since 1986 he has been the manager of the basses. 30 years teacher at the School of Music in Bialystok.His students w were successful and were winners of national and macro-regional competitions and auditions double bass, on leading positions. For many years he worked as a assistant at theFryderyk Chopin University of Music Deaprtment in Bialystok leading bass class and classes from orchestral and chamber music.